Have your say about how the UK Vision Strategy runs in the future. Complete the survey. 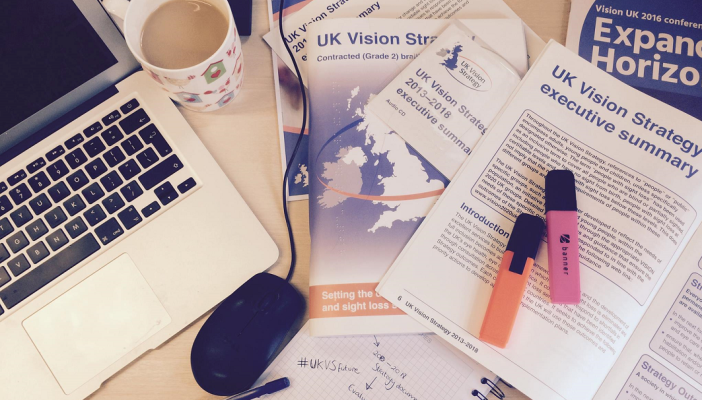 The UK Vision Strategy provides a unifying framework for the eye health and sight loss sectors to work towards delivering improved eye health, better treatment and support to people with sight loss, and a society which fully includes blind and partially sighted people. NCVO Charities Evaluation Services (NCVO CES) is currently conducting a six-month evaluation and consultation project to inform the future development and delivery of the UK Vision Strategy and collaborative work in the eye health/sight loss sectors. The NCVO CES researchers want to hear from you about your experiences as a professional working in the eye health and/or sight loss sectors and what you think are the key challenges and opportunities for the future. Please make your voice heard by taking part in the survey.